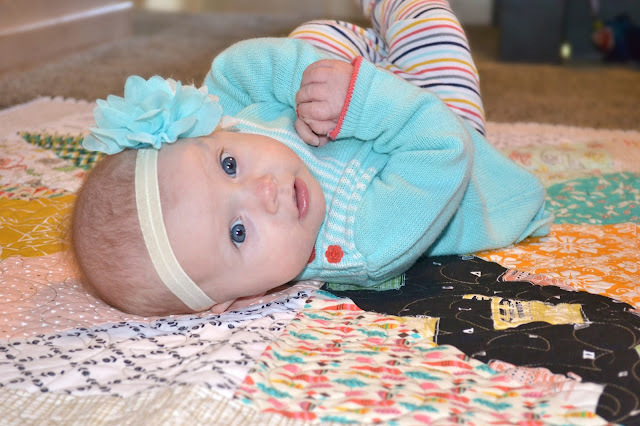 If you are a true beginner at quilts like I am then you really don't know much about quilting at all, but you have a sewing machine and a baby so naturally you are going to attempt a baby quilt. 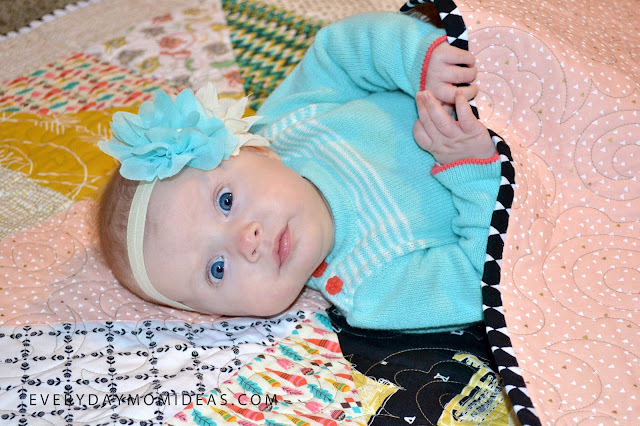 This is the perfect little quilt for you. 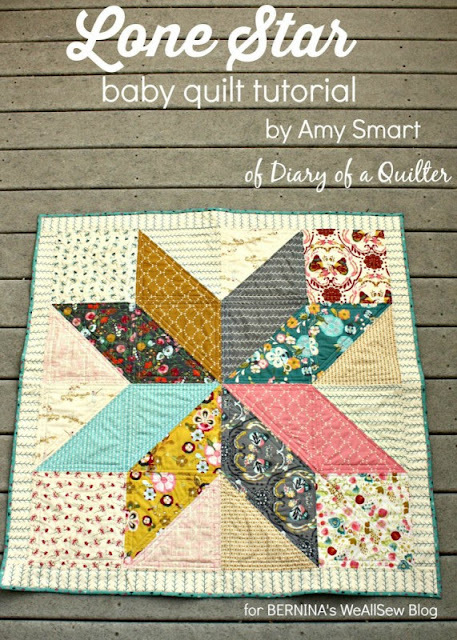 If you don't know this already "quilting" is the part where someone sews all the pretty little lines all over your blanket to keep all the parts together. Beginners usually have someone else do this finishing part for them because it usually requires a special sewing machine. Patchwork is the part we are going to focus on. That is where you cut out all the pretty fabric into fun shapes and sew them together to make a pattern and/or Quilt top. 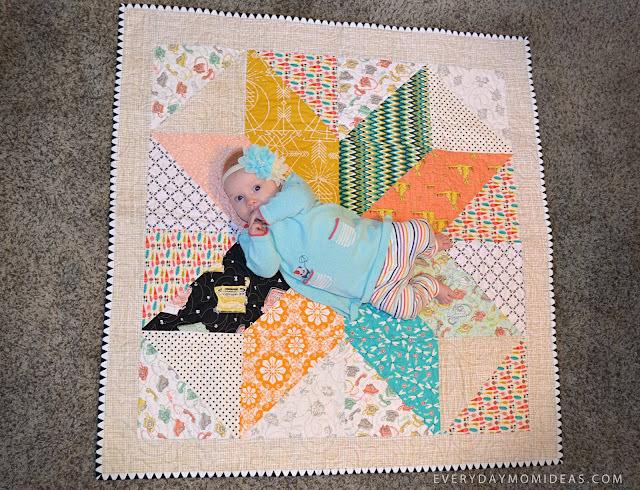 This particular style of beginning quilt is called a Lone Star pattern. You can also use it for large quilts as well. I used this Lone Star Baby Quilt Tutorial by Amy Smart at Diary Of A Quilter. Its a free step by step tutorial that is super easy to follow with lots of helpful pictures. 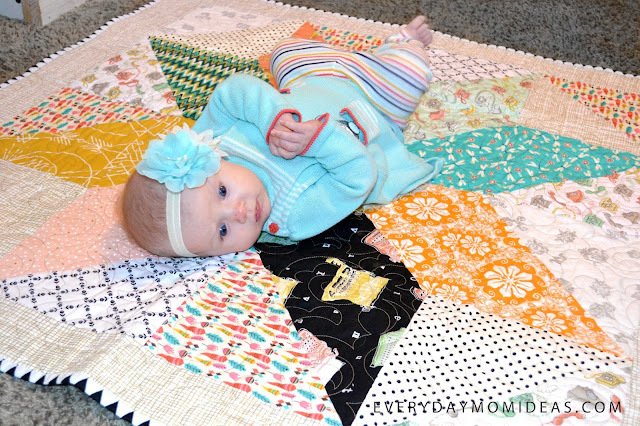 She recommends using 10x10 precut squares that you can buy at any quilt fabric stop. 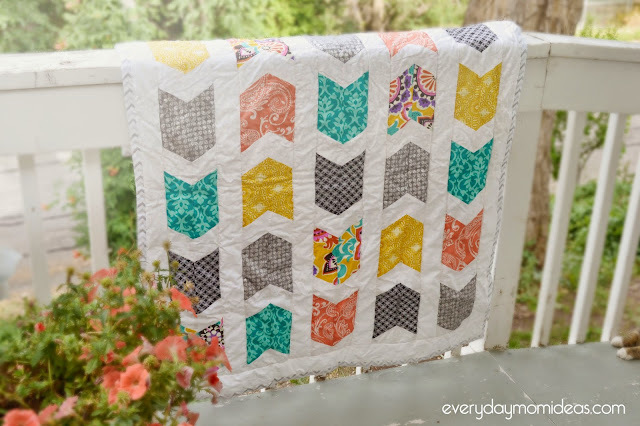 But I had a really hard time finding these pre cut squares in the colors that I liked. So I just bought 12 inch strips of 16 different colors. You will need to have eight dark colors and eight light colors so that the patterns shows up nice. I cut my fabrics into simple 10x10 squares then I cut them in half. 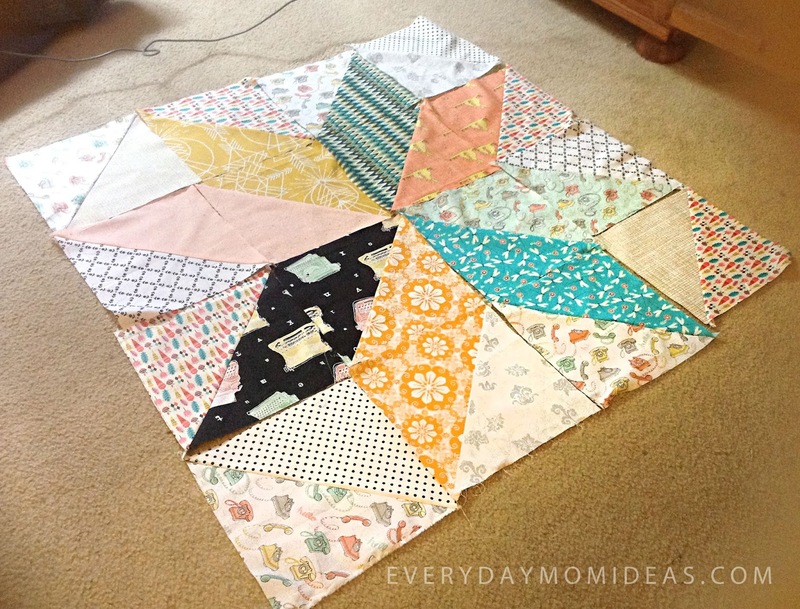 Once everything is cut you can arrange them into your lone start pattern and begin sewing your squares together. Beginner TIP:Make sure you have your iron out and ready to go so you can iron your pieces flat every time you sew a new piece together. It helps keep your sewing lines nice and flat so you don't get weird lumps all over. 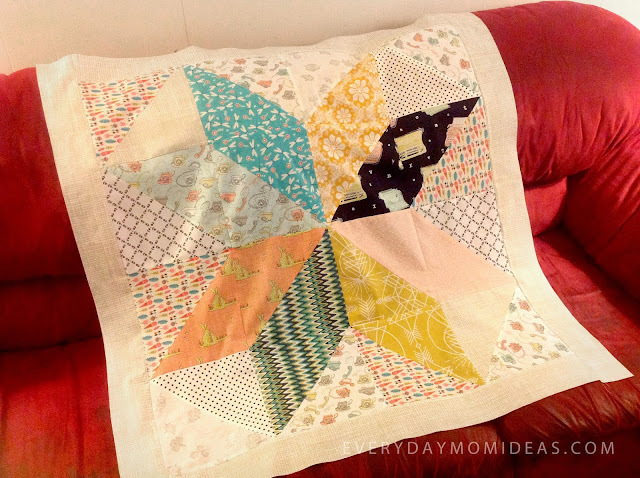 Once you have all your triangles sewn together in your lone star pattern you can add a three inch strip of fabric around the quilt to finish off your patchwork. Now its ready to take to the quilters. You will need bring your quilter 1 1/4 yard of fabric for the backing or back side of your quilt and about another yard for the binding strip. Also don't forget to bring a baby quilt size batting for your quilter to use. A view of the fabric I used for the backing of my quilt. I used a peach colored print with white and gold metallic triangles. The best part of quilting is picking out all the fun fabrics. I was trying to go for a modern looking quilt even though the Lone Star pattern is very traditional. 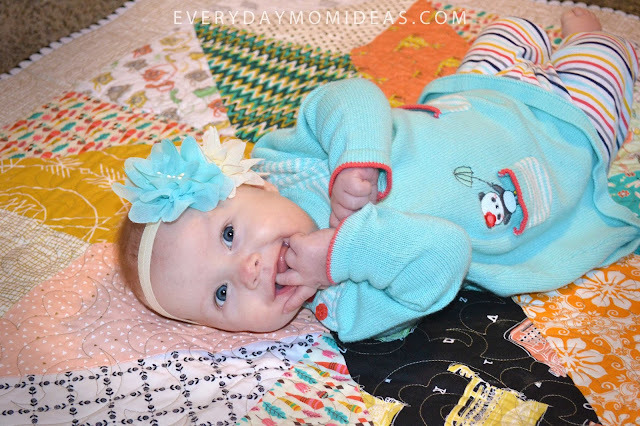 I loved every moment of making this patchwork quilt. I made this just a month before my little girl was born and It was a really fun project to do while eight months pregnant. This is only my fourth quilt Ive ever made and its my first quilt top Ive ever made entirely by myself without any help. This was such a stress free project for me because of how simple it was and easy to follow. If I can do it, anyone can do this quilt. Please share this Pinterest friendly picture below with your friends and family on your Pinterest broads.